This patriotic banner will make your pride in your Armenian heritage known immediately. 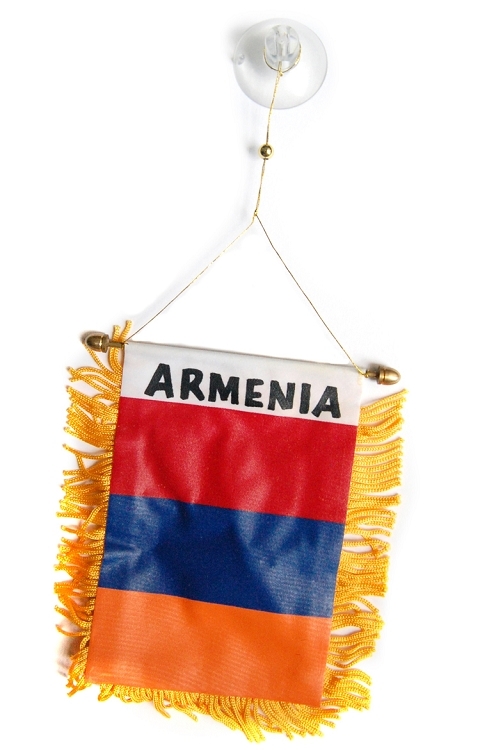 Hanging on a brass-colored staff and decorated with golden fringe, this banner features an Armenian flag design on both sides and comes with a suction cup suitable for any surface in your home. God Bless Our Home Ceramic Tile, 6x8 in.